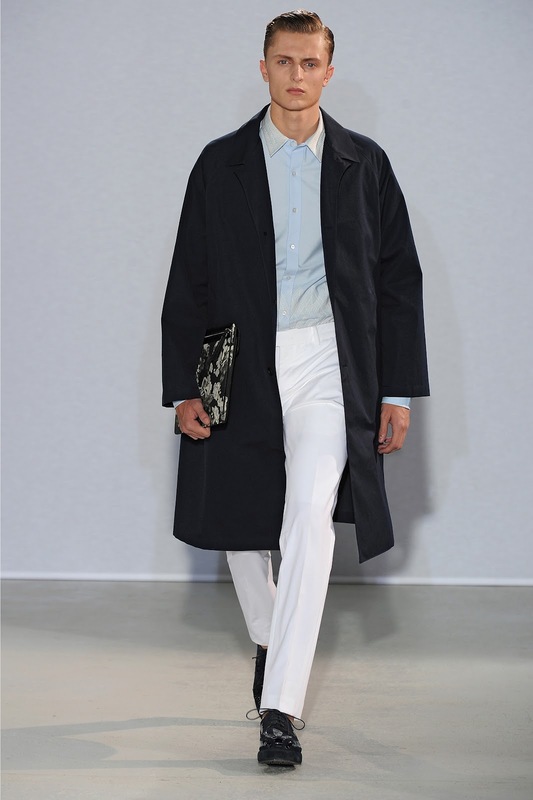 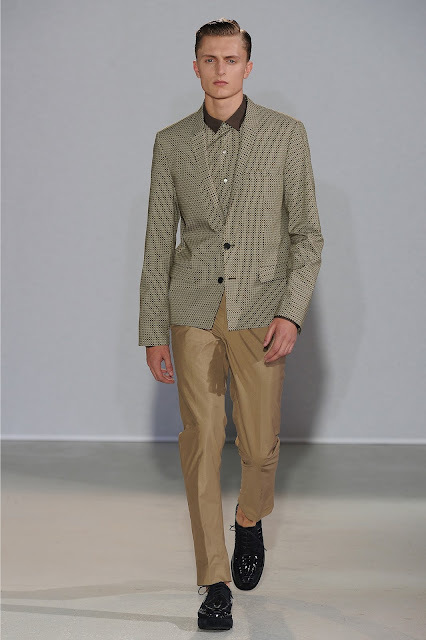 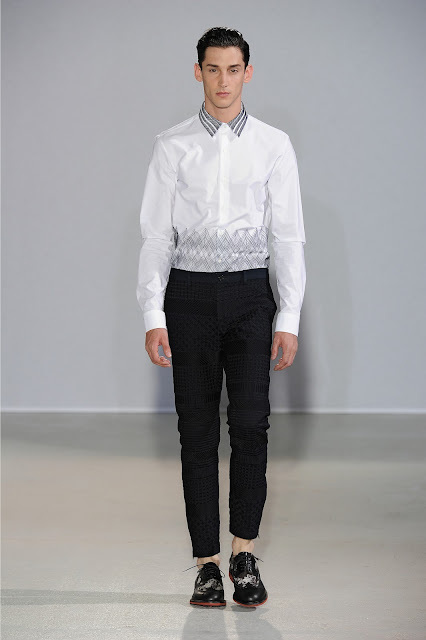 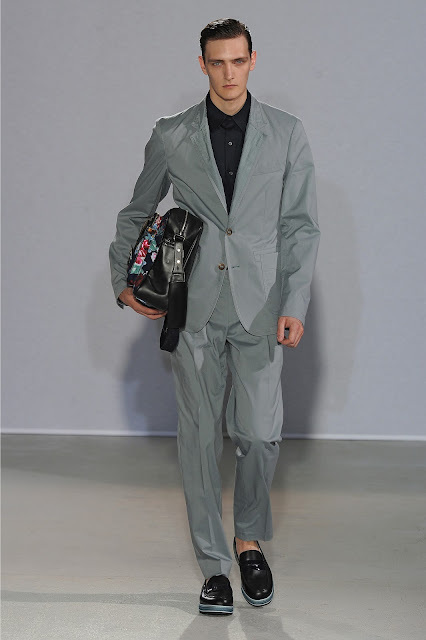 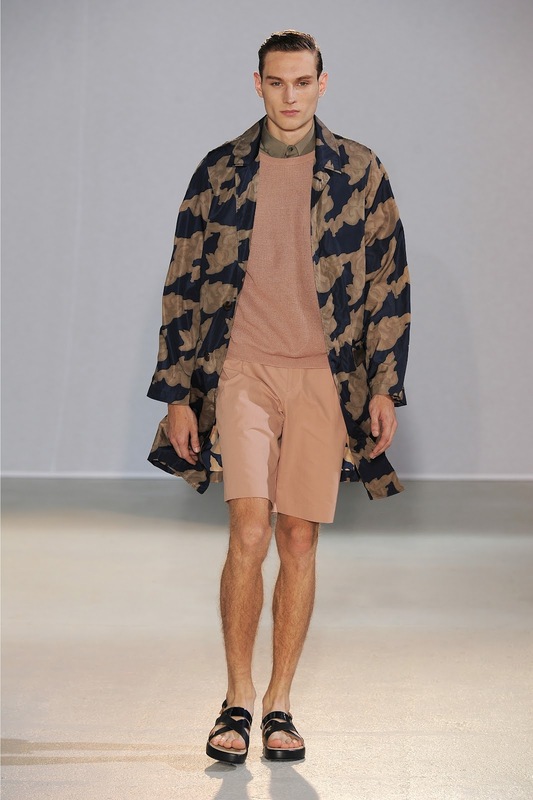 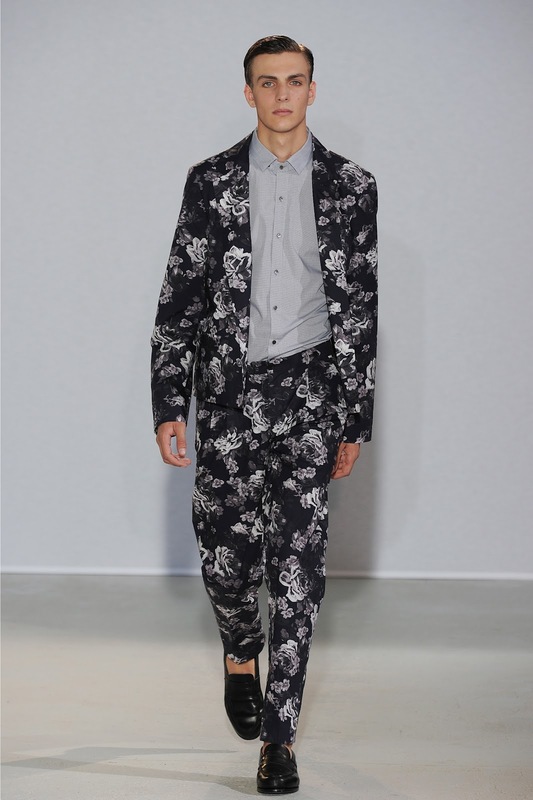 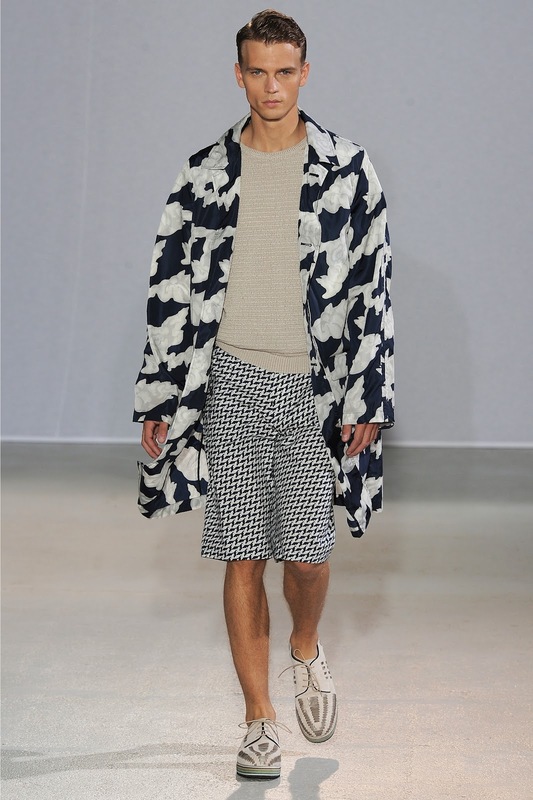 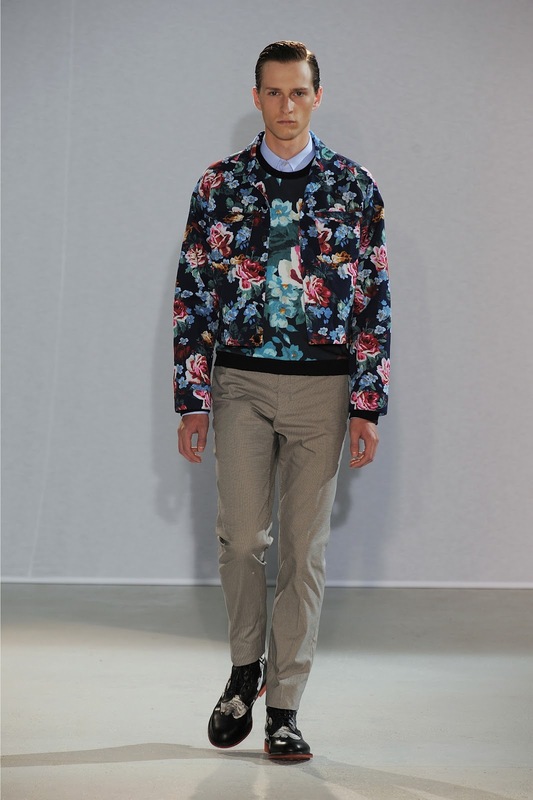 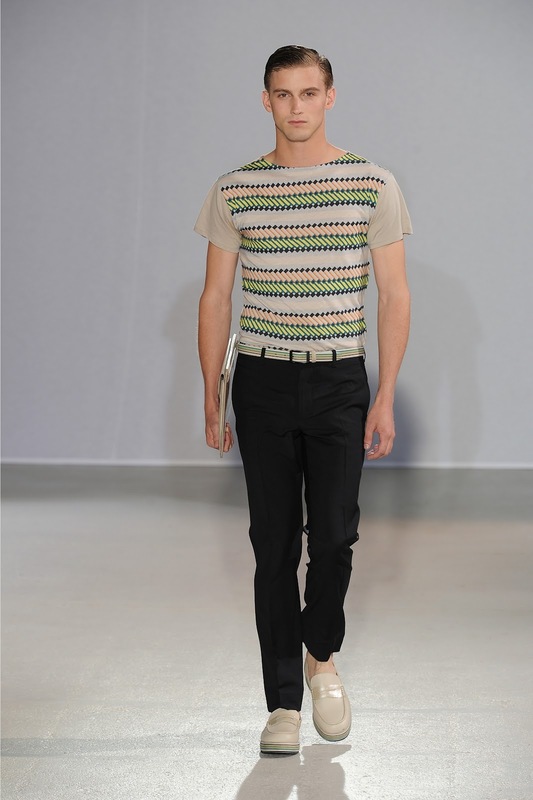 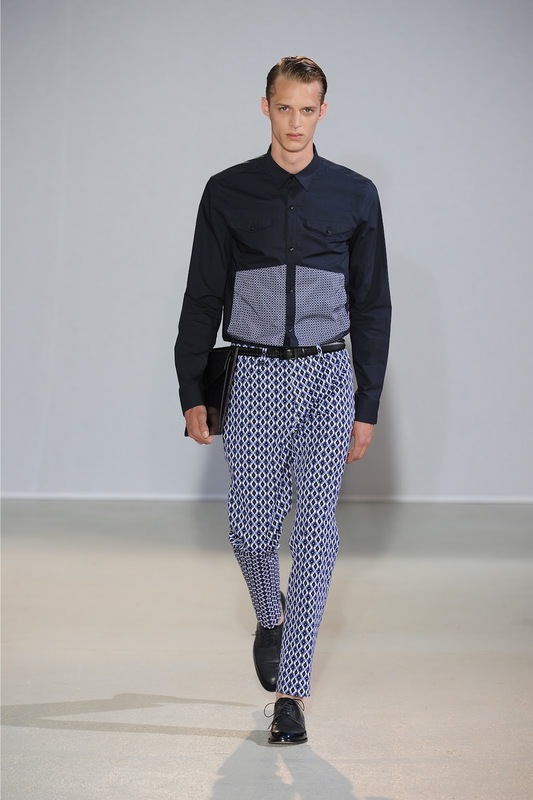 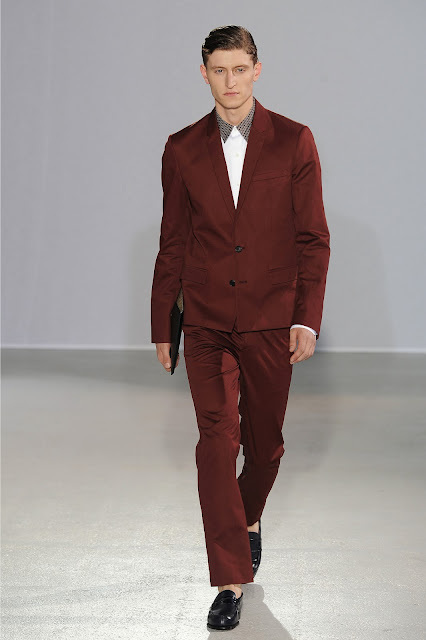 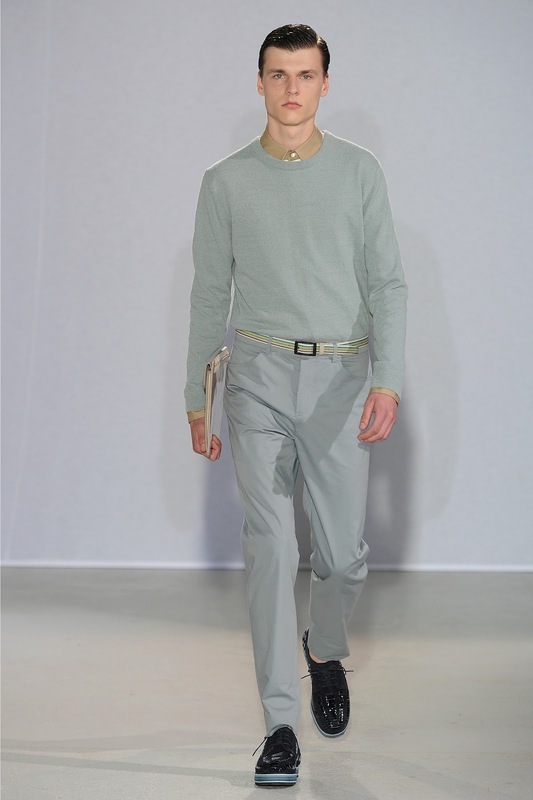 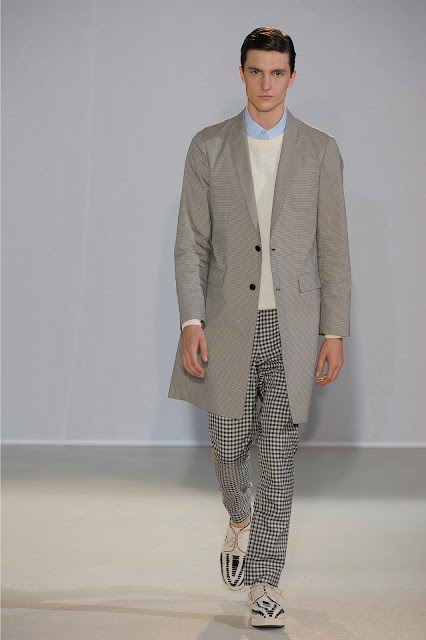 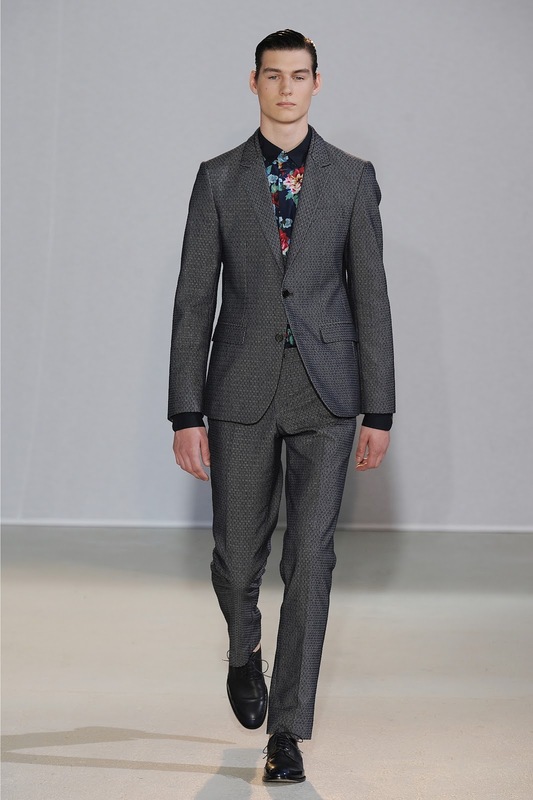 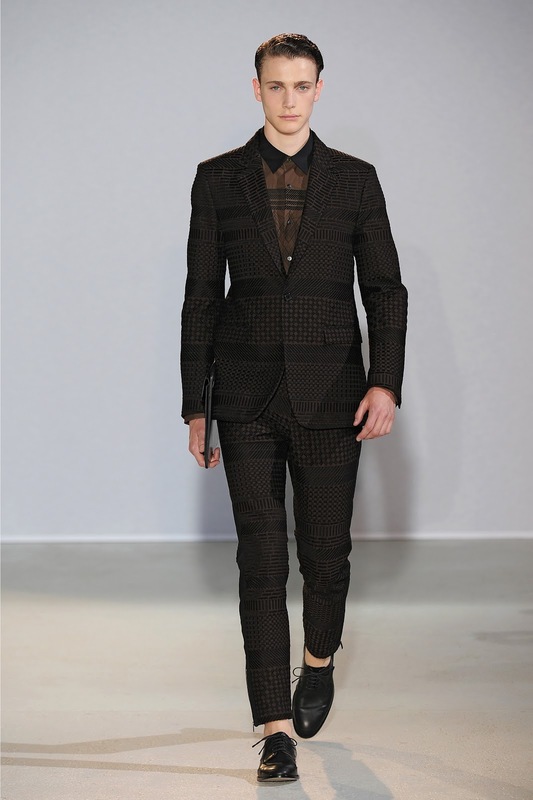 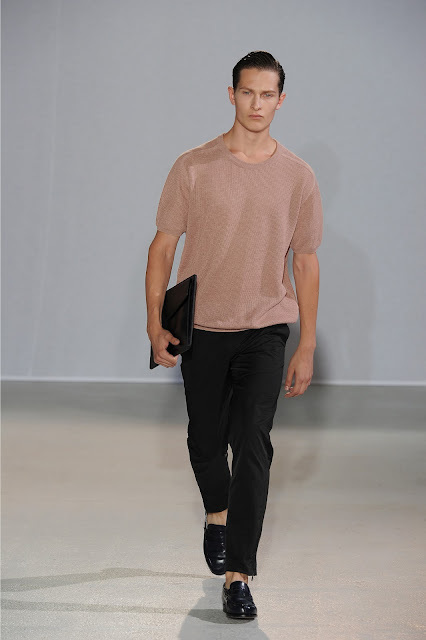 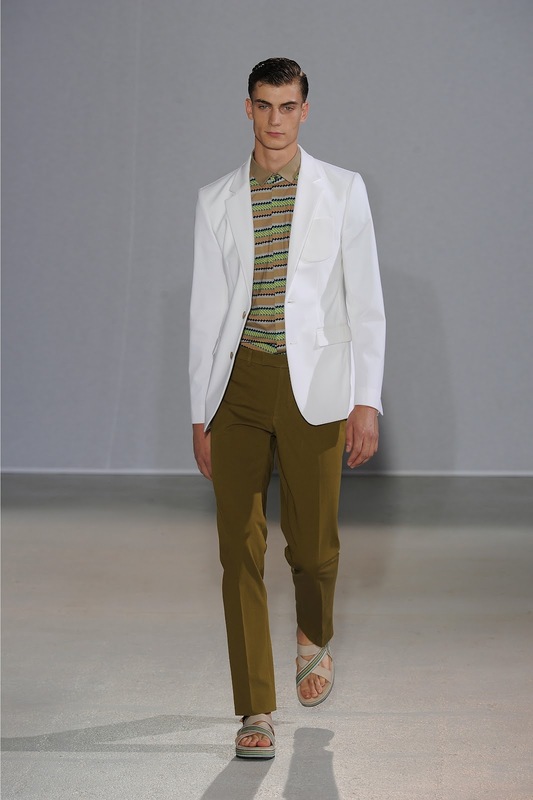 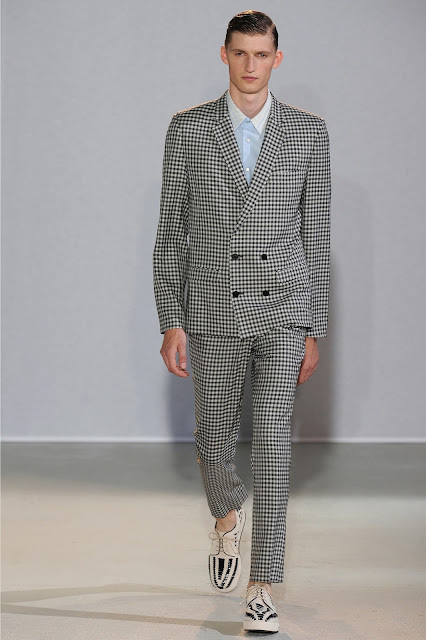 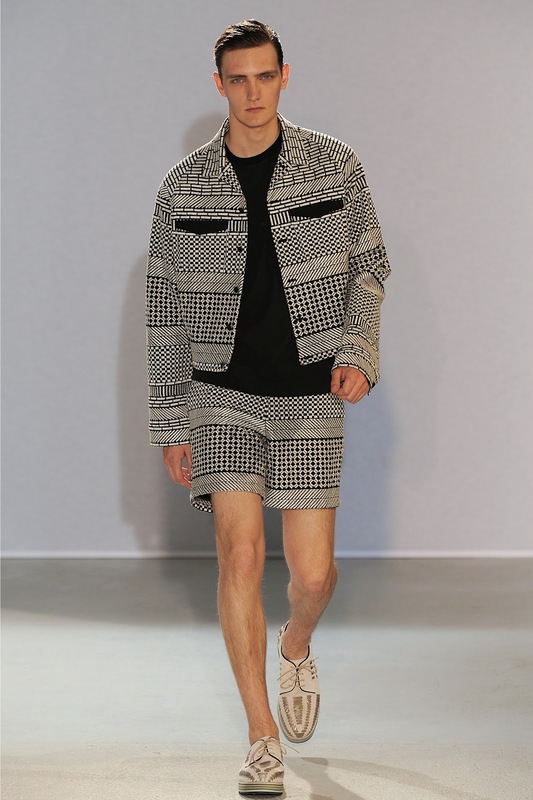 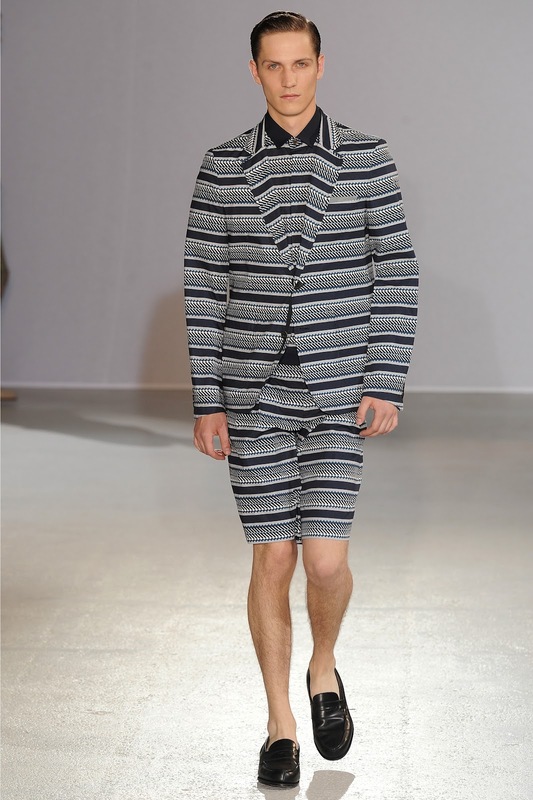 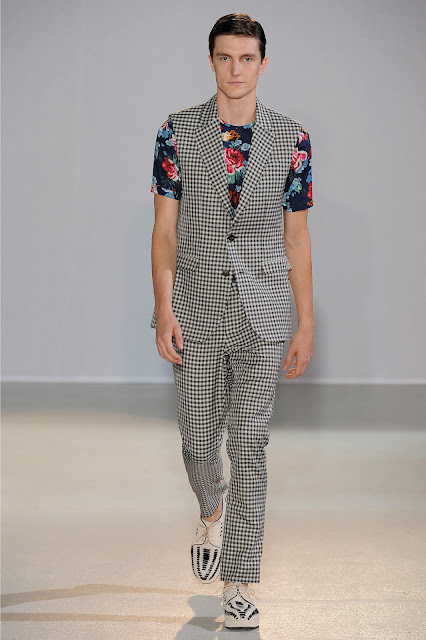 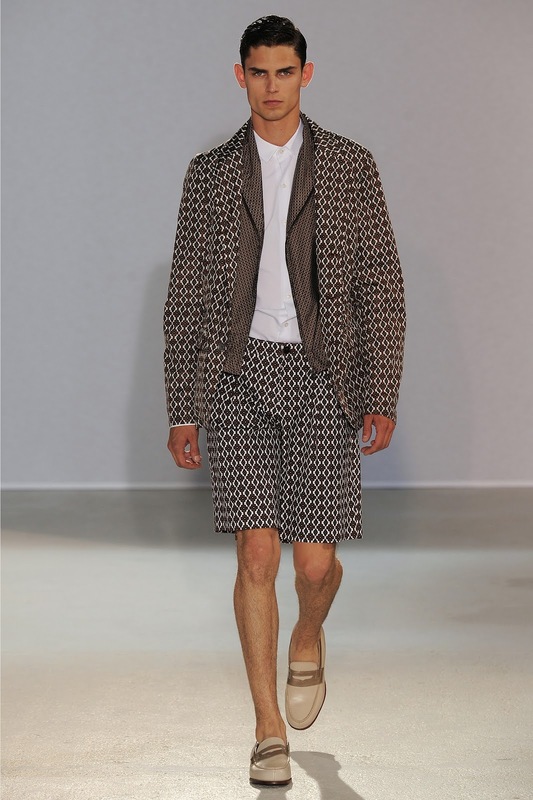 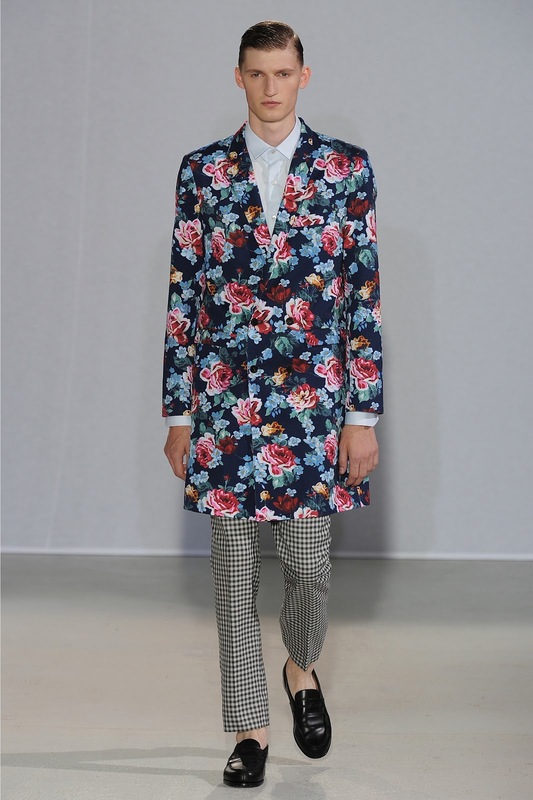 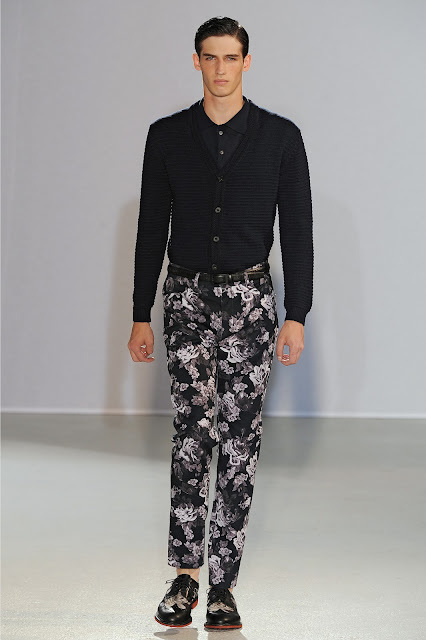 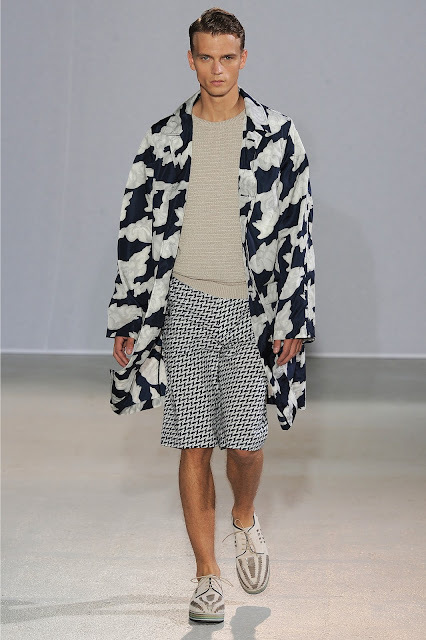 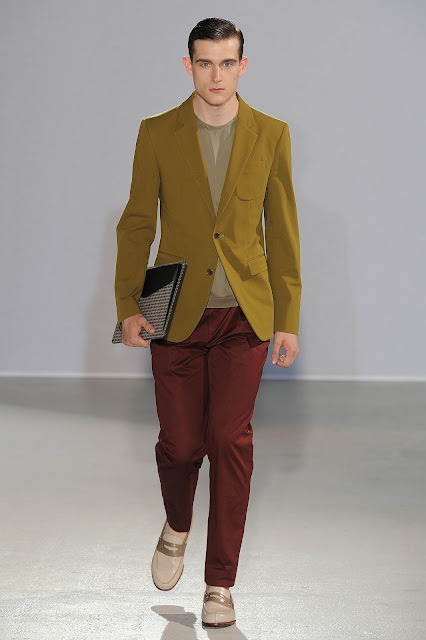 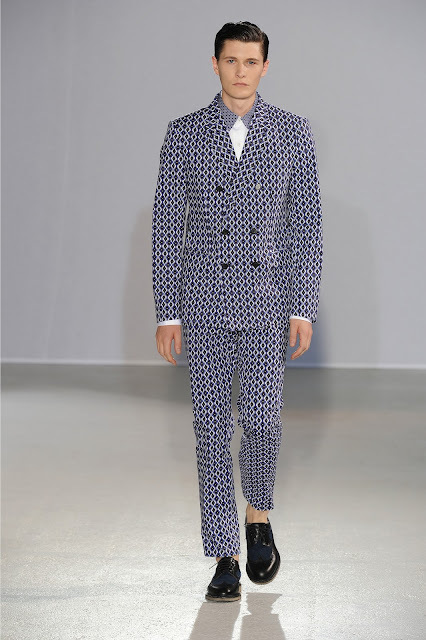 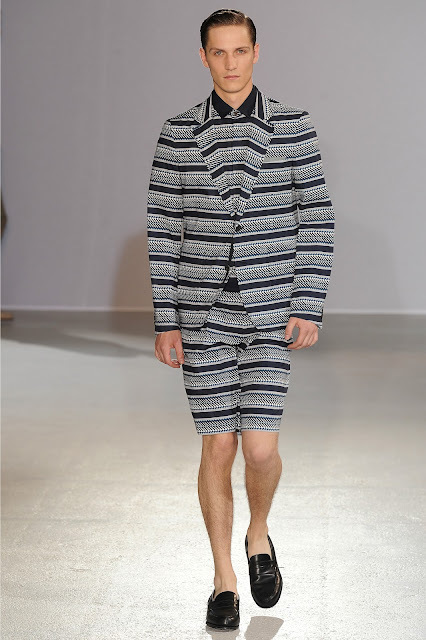 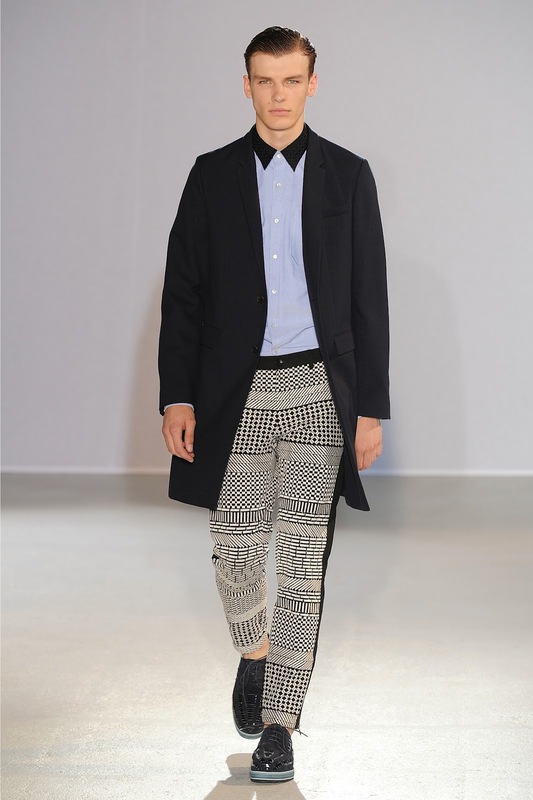 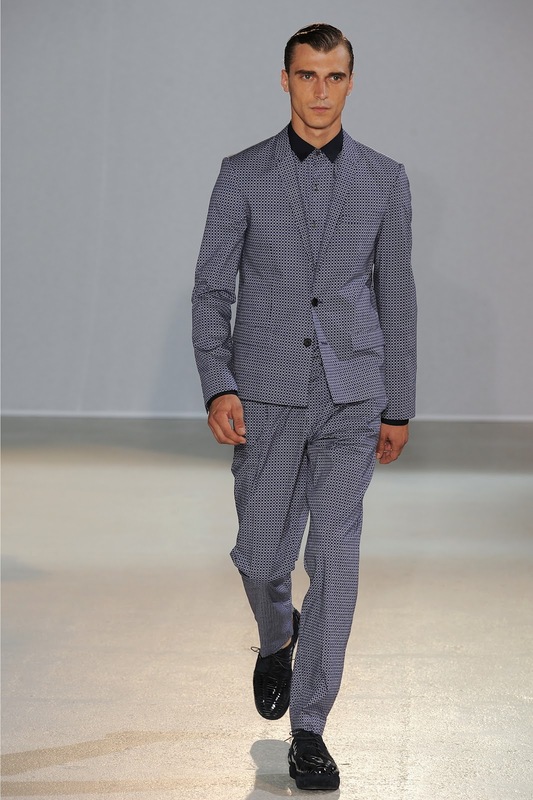 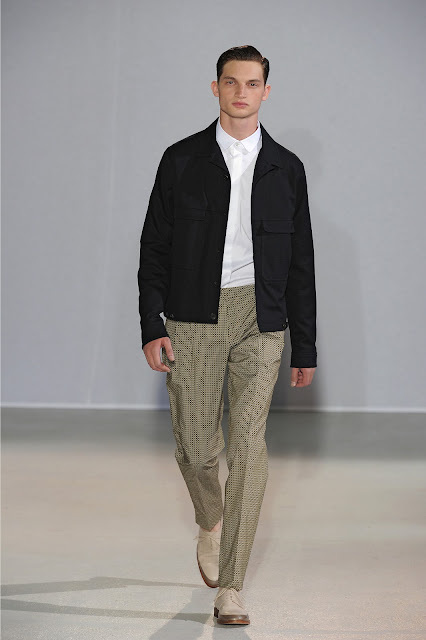 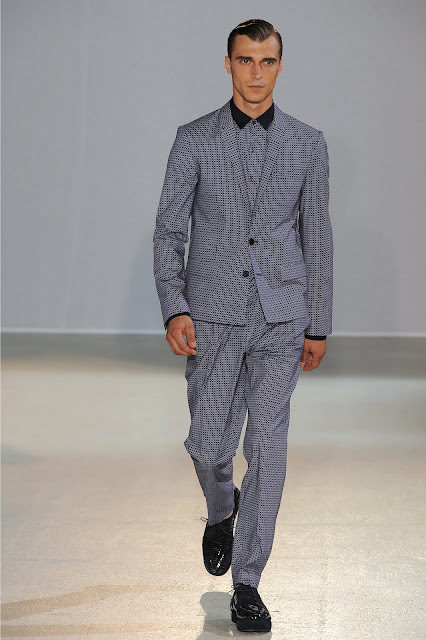 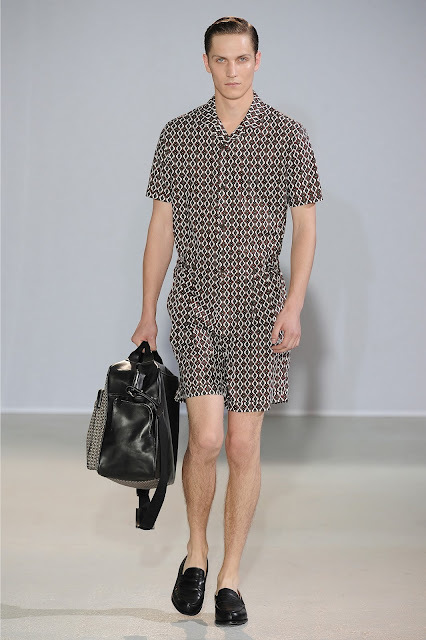 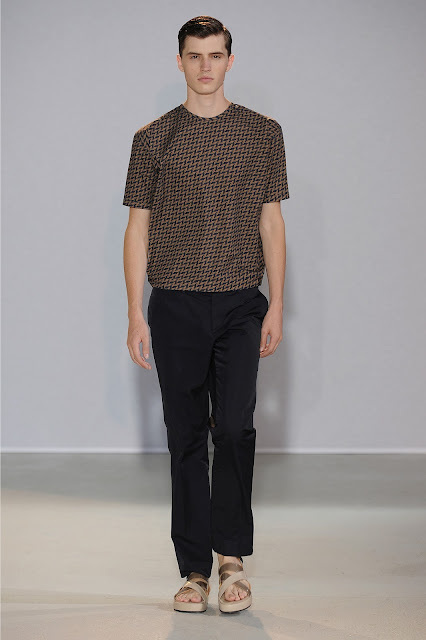 Korean menswear label Wooyoungmi celebrated ten years of international activity and of taking part in Paris Men’s Fashion Week with an elegant collection for Spring/Summer 2013 shown at the Palais de Tokyo. As a way to illustrate the diverse artistic, cultural and ethnic motifes that inspired them over the last decade, Woo Youngmi and Woo Janghee (the sisters behind the label) presented a range of eclectic designs that confirmed Wooyoungmi’s established role as one of the most exciting menswear labels around. 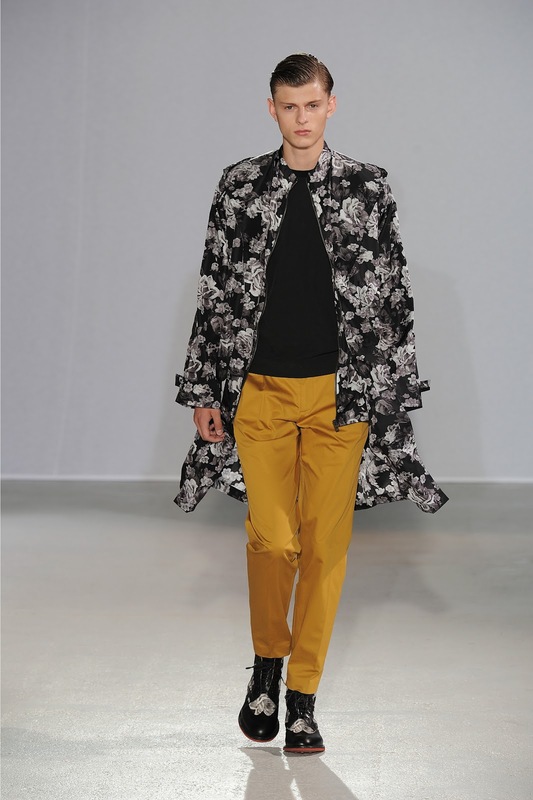 As the designers wanted to explore how their male consumer would embrace varied influences and wear them in a modern and elegant way, the collection takes inspiration from not one particular culture but from worldwide crafts, prints and patterns. 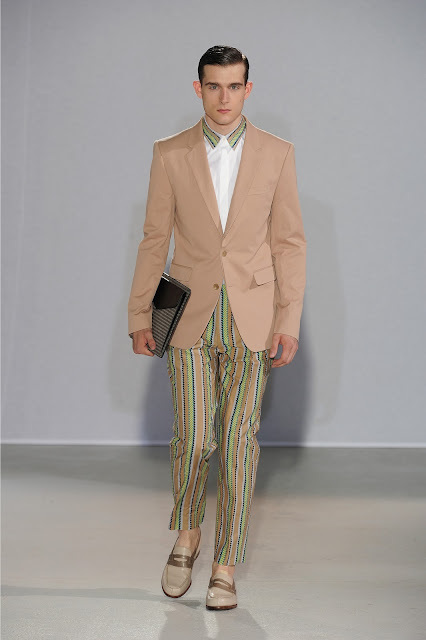 As such, detailed and colourful patterns that reference both Africa and Latin America are purposely slightly unrefined and worn boldly on overcoats, suits, trousers and shirts. A cloud print, scattered across lightweight coats, has its roots in Asia whereas the floral print unearthed in a Parisian flea-market is traced back to African beginnings. 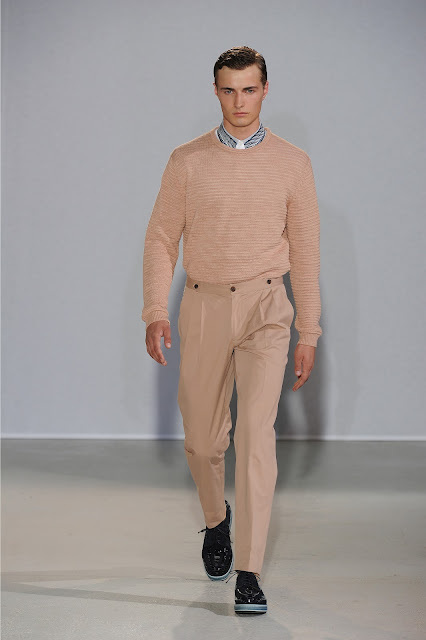 To bring the diversity of global cultures together, the colour palette is restrained and elegant, including navy, light blue, pale salmon, mustard, black, white, greens, and browns. 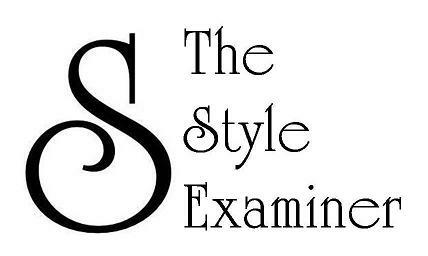 Likewise, the overall long and sharp silhouette hints at classic 1960s styles by using slim-cut trousers and cropped or collarless jackets. 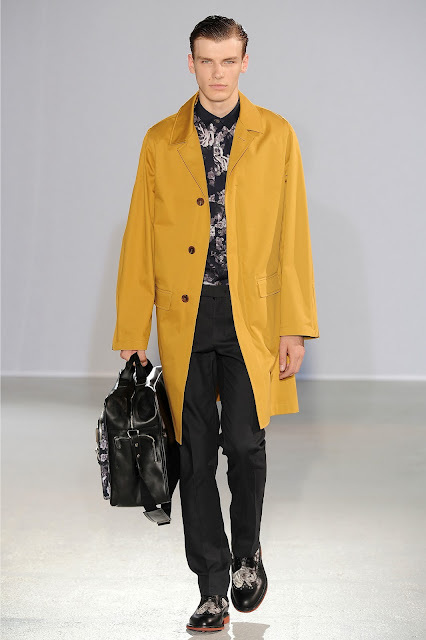 Woo Youngmi started to shine in the world of fashion when she won the Osaka International Fashion award upon completing her studies in Fashion from Sung-kyun-kwan University in Seoul. She went on to become the first Korean female designer of menswear when she launched the brand Solid Homme from a small boutique in Seoul in 1988. 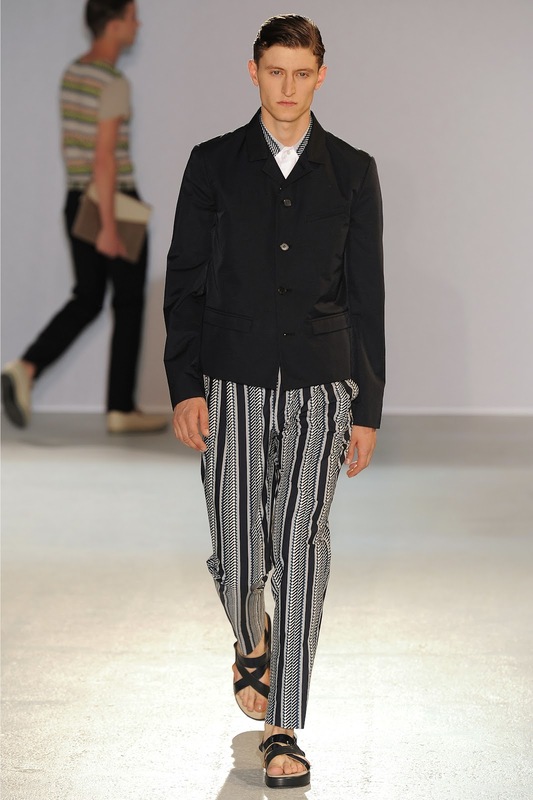 In 1989, she was joined by her younger sister Woo Janghee at the design helm of her collections, and in 1993 (together with fellow Korean designers) Woo Youngmi founded ‘New Wave’, a platform for young designers to show their work that developed into what is now Seoul Fashion Week. 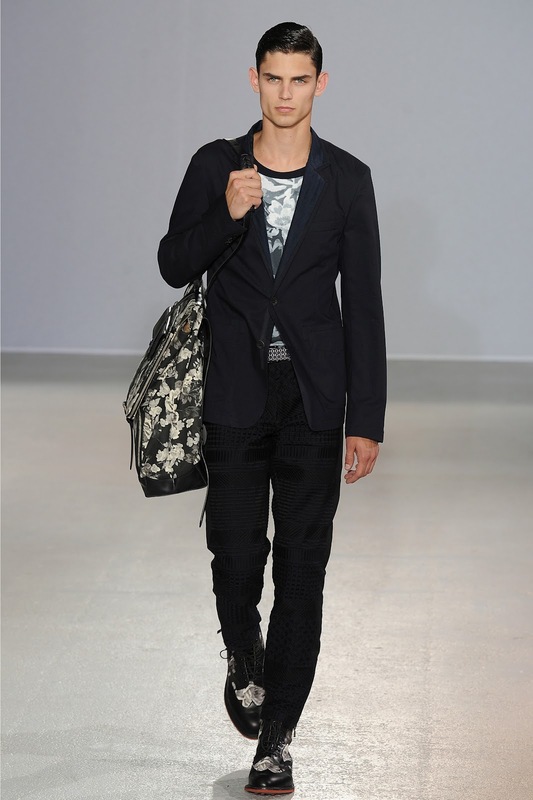 In 2002, Wooyoungmi was launched as a global brand and showed for the first time during Paris Menswear Fashion Week, where it has been a regular participant ever since. 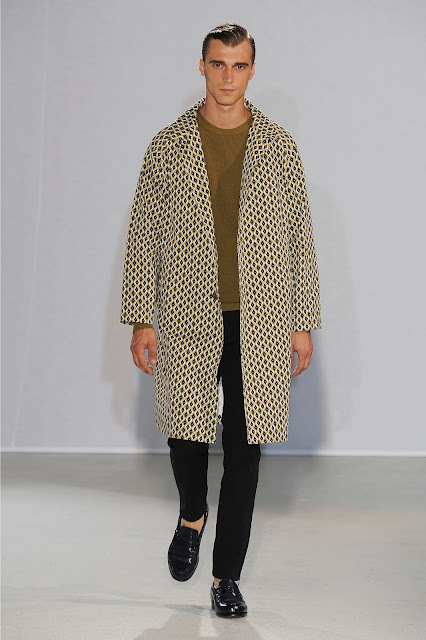 Today, Wooyoungmi can be found in retailers in Australia, Canada, China,France, Greece, Hong Kong, Italy, Japan, Korea, Russia, Singapore, Thailand, UK, Ukraine, and USA.